sailboat. 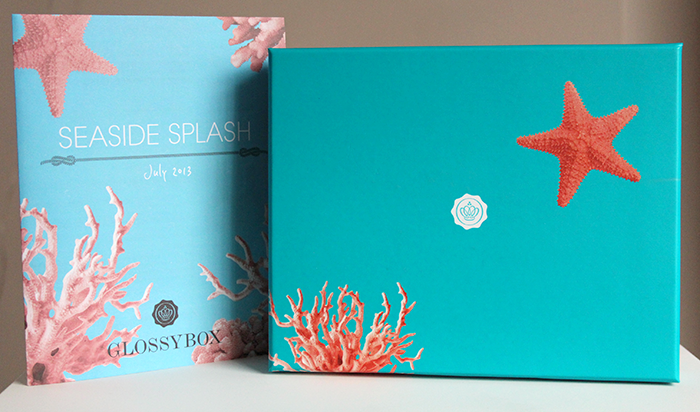 : July 2013 GlossyBox: The Seaside Splash Edition. 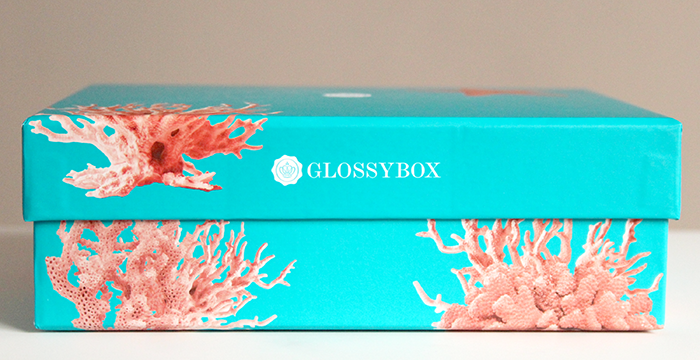 As soon as I saw a sneak peek of the outside of the July GlossyBox over on their twitter I thought it was super cute, instead of the usual pink it's a beautiful blue shade and anything seaside themed, I love! 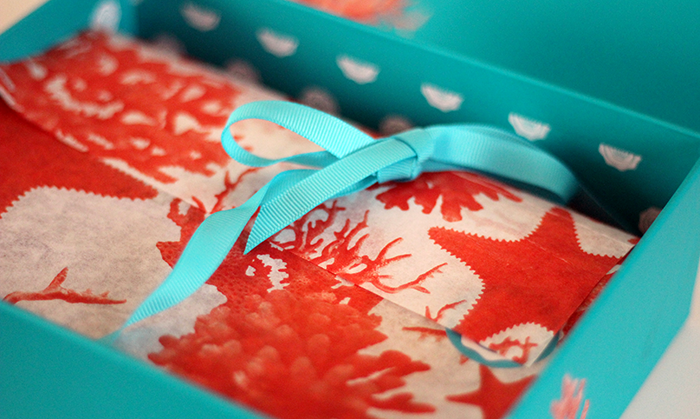 This month the theme is 'Seaside Splash' promising to be packed full of summer appropriate products for whether you'll be spending it at home or away in some far-flung holiday paradise. When I first opened my box I wasn't sure whether the contents had quite lived up to my expectations, I would have liked to see a bright lipstick maybe, but after reading the product descriptions and having a little play around with them, I'm quite pleased and I think they fit the theme really nicely. 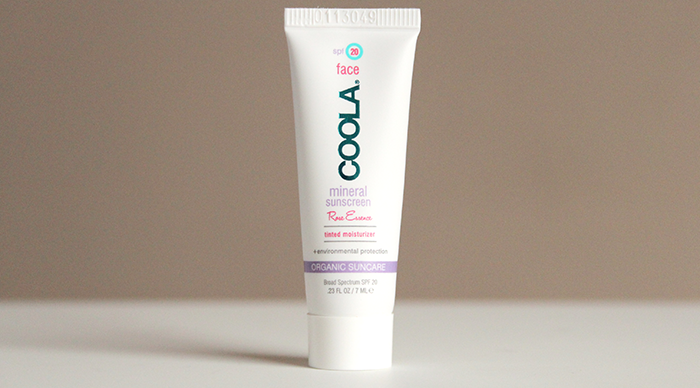 I'll start with the one product I'm not completely sold on, which is the Coola Mineral Face Sunscreen SPF 20 Rose Essence Tint. This is hypoallergenic, free from parabens, full of antioxidants and promises to provide complete protection, fight free radicals, soothe, tone and minimise pores. There are a lot of promises there and I really like the idea of it, but I put a little bit of this on the back of my hand and the tint looked a little too dark for my skin tone. I haven't had the chance to try it on my face yet, it might blend out completely but I haven't had time to take the risk of ending up with an orange face. I'll definitely give it a try this weekend though because I think it sounds like a lovely facial sunscreen. The full size 50ml retails for £29.99. 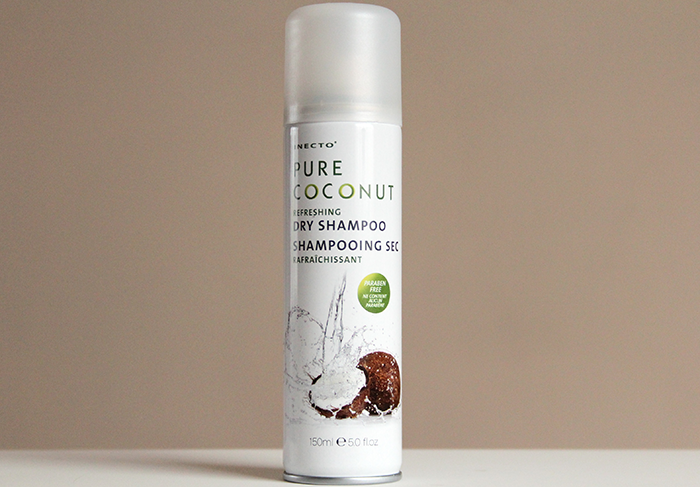 Inecto Pure Coconut Refreshing Dry Shampoo. I haven't used a dry shampoo in a really long time, I used to rely on Batiste all the time but I always used to hate the feeling of it in my hair the next day if I didn't wash it out so I kind of got in the routine of not using it at all. Coconut is one of my favourite scents ever so I was actually really excited to give the Inecto Refreshing Dry Shampoo a try and I really like it. It doesn't leave my hair feeling like it's full of product and it gave me a real volume boost as well as smelling really nice. I've seen there's a shampoo & conditioner in this range that I'm very tempted to try when I next need to purchase. This is a full size product and retails for around £2.50. Anatomicals Spray Misty For Me Facial Spritz. There seems to be an Anatomicals product included every month at the moment and this month it's the Spray Misty For Me Facial Spritz. When I first sprayed this I immediately wasn't a fan of the scent, it's a little too much like the air fresheners they use in public bathrooms for me but I gave it a try anyway and I really like the way it feels on my skin. It's definitely very refreshing and left my skin feeling and looking almost instantly hydrated, so for that I'll let the scent slide & just hold my nose! This is definitely something that I'll be popping into my bag for those 'I need a pick-me-up' moments. This is a full size product and retails for £6.00. Alterna Boho Waves Tousled Texture Mist. 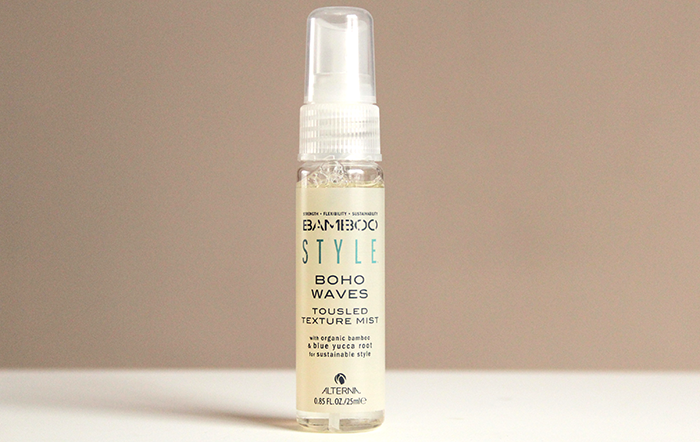 Hair products usually aren't my favourite products to receive purely because they usually do nothing apart from weigh my hair down and make it look oily because it's super fine, but when I saw this Alterna Bamboo Style Boho Waves Tousled Texture Mist I was excited to give it a try. I'm a huge fan of messy locks and anything that can help me achieve that un-done look quickly is great! I've only used this once so far, I sprayed a little into my hair, scrunched a bit and there was instant texture without leaving it feeling crunchy or sticky so I'm looking forward to trying it out a little more. The full size 125ml retails for £23. 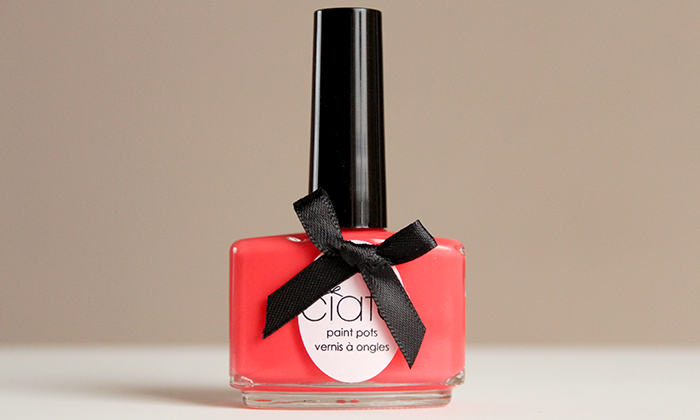 Finally in my box this month is a Ciate Nail Polish in the shade the glossip, a beautiful peachy coral shade that is pretty much summer in a pretty pot. I love the packaging, the sweet little bow is a lovely touch and definitely makes this bottle stand out within my nail polish collection. The formula itself is lovely, easy to work with and completely opaque in two fast-drying coats. I currently have this on my toes and I'll spare you the feet picture, but I think it looks lovely and even makes me look a little tanned even though I'm still paler than Caspar! This is a full sized product and retails for £9.00. Wow, the packaging is absolutely gorgeous! I think that's the one thing that Glossybox gets right judging from posts I've read (since I don't and can't personally subscribe). I know what you mean by wishing there was a bright lippie or some other makeup item in there though! I've tried a few Inecto products and while they're a bit hit and miss, I do love coconut and they're really inexpensive. I'm just obsessed with the box! I hope you're going to keep it and keep things in it. I cant wait to get mine! Your one looks amazing! that ciate polish look pretty! That facial spray sounds so refreshing and I love that Ciate color, great box!! It's really cooling. I've been keeping it on my nightstand for the hot nights! I am seriously envy of this month's glossy box holders :) I haven't tried the inecto dry shampoo but I've tried other products and love coconut too! The ciate colour is just perfect for Summer too! great post! items look awesome! Love your blog. 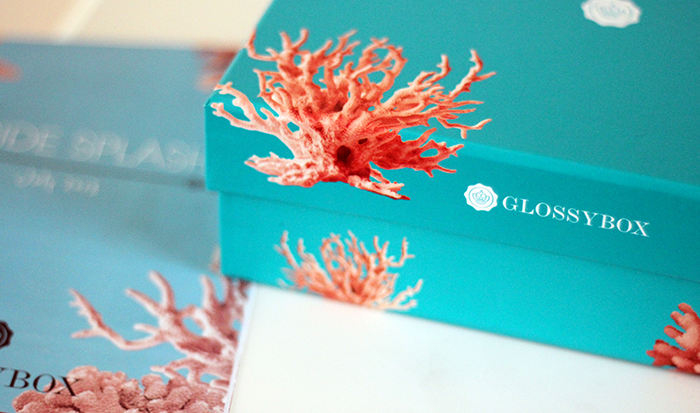 I have never tried glossybox before. I get Ipsy and Birchbox. How is the GlossyBox compared to those?